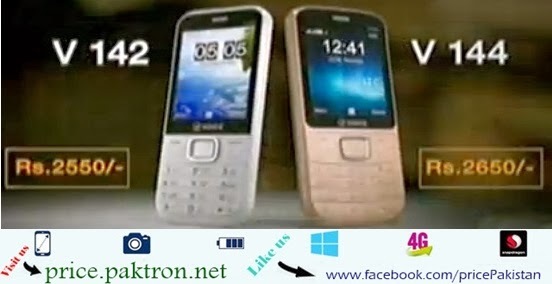 Both Phones have nice look with many features like FM radio, Dual-Sim, Bluetooth both phones give opportunity to users that they stay in connection with loved ones and the people that matter in life or work, also users can Organize private network. 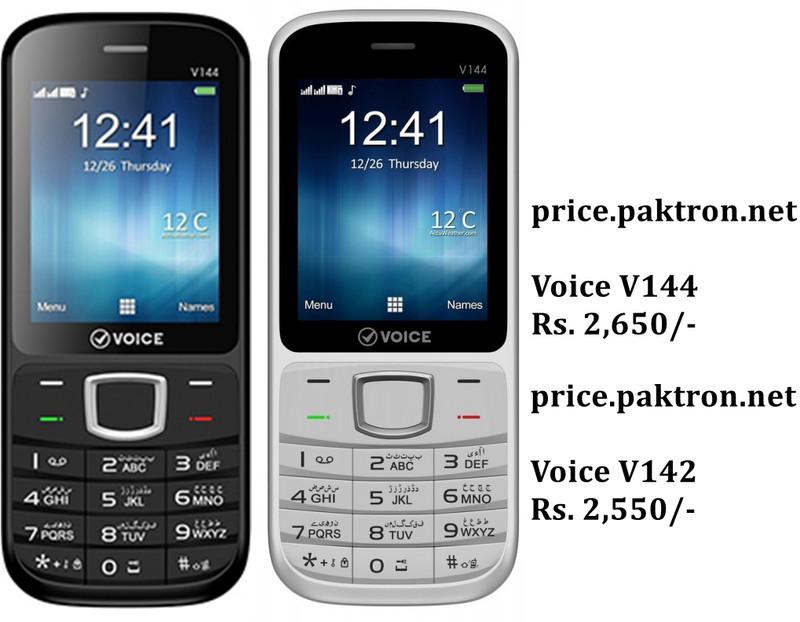 Voice V144 and V142 have good sound quality main feature is Text recognition that provides a simple & easy way of composing all your messages.Replacing your mp3 player with Voice phone because both phone supports microSD memory cards. Have 2.4 Inches (240 x 320), 32 MB built-in, microSD card (support up to 32 GB), phone-book entries 100, message capacity 50, call log 20, Bluetooth, USB, GPRS, 0.3 Mega-Pixel camera, Dual-Sim, FM Radio. Have 2.4 Inches (240 x 320), 124.8 x 52 x 11.2 mm(Dimensions), Digital Camera, Dual SIM, Speakerphone, BlueTooth, USB, GPRS, microSD card (support up to 32 GB).